I have to confess, I put little stock in personality tests. They seem too generic, like magazine horoscopes that, with a little finagling, could apply to anyone. The tests are fun to take, but they're more like acceptable vanity exercises. Only the saints and psychologists among us really dig into understanding types other than their own. At best we say: "Oh you're an INFJ? I'm an ENFJ!" and remark on our shared traits and the differences between introverts and extroverts. But recently a psychologist friend introduced me to a personality system she uses in her practice, and I have found it incredibly helpful, both personally and in my relationships. Recently I decided to use it in my writing as well. I was having a hard time making certain characters distinct and clear. Using this system, two-dimensional characters suddenly popped up off the page. I began to understand what motivated them, how they would react in situations, what they might say (or not say), what vice they might gravitate toward, and what core virtue would emerge under the right circumstances. In short, it was character development magic. Type 1: The Reformer/ Perfectionist. "I must be/ do right." Type 2: The Helper/ Giver. "I must help others." Type 3: The Achiever/ Motivator/ Performer. "I must succeed." Type 4: The Individualist/ Artist/ Romantic. "I must be unique." Type 5: The Observer/ Investigator/ Thinker. "I must understand the world around me." Type 6: The Loyalist/ Skeptic. "I must be secure." Type 7: The Enthusiast/ Adventurer. "I must seek new experiences." Type 8: The Challenger/ Leader. "I must be in control." Type 9: The Peacemaker/ Mediator. "I must have/make peace." Each personality type perceives these motivations as the means for them to be safe, to have meaning in their lives, or to be loved. What I like about the Enneagram is its nuance and complexity. We all know that a healthy or growing person and an unhealthy or stressed person behave in totally different ways, even if they share personality traits. 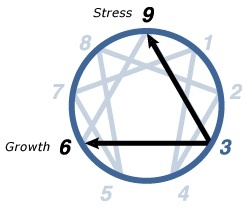 The Enneagram predicts what traits emerge under stress and during personal growth. Every Enneagram type uniquely integrates to the healthiest characteristics of another type and disintegrates to the least healthy behaviors of a different type. For example, threes integrate to a six and disintegrate to a nine. Achieving threes can be self-focused, but with maturity, they look more like other-focused healthy sixes. Threes can be driven, but under stress they begin to look like unhealthy nines: disengaged and apathetic. Enneagram types can have an even greater degree of complexity by demonstrating traits from one of the numbers adjacent to them, which are called wings. The wing augments the primary personality. So you can have an observant five with an artistic four wing, which might produce a professorial art school type, or an achieving three with a helpful two wing might be an front-person for a non-profit organization. These are gross generalizations, but I find the flexibility of wings accounts for a wide array of personality manifestations, even among people who share a primary type. It keeps it all from becoming too canned and stereotyped, but not so general as to become meaningless. The Enneagram goes much farther and deeper than this crash course, and those who are interested could spend a lot of time learning about it. I think most of us instinctively pick up on others' personalities, especially writerly types who want to write believable characters. If people were clocks, we immediately perceive the difference between a cuckoo clock, a grandfather clock, a digital clock and an alarm clock. We get, on a basic level, what makes them tick. The Enneagram, then, is effectively like a screwdriver that removes the backing so we can see the actual mechanics at work. The most helpful aspect of the Enneagram for me is the basic fears and desires. It helps me to know how a character is going to react to the sticky situations I put them in. For example, one of my characters is an adventurous seven. When his parents want him to go into the military for a war he doesn't agree with, his response is to hop a plane out of the country. A seven's core fear is being trapped or in pain and their spontaneity can make them impulsive, so this response makes sense for him, drastic though it may seem. Another of my characters is a loyal six. A six's basic fear is making the wrong decision. They need guidance to orient themselves. In this situation, my six character would have struggled with living up to his parents' expectations. In fear of making the wrong decision for himself, he probably would have enlisted despite his own reservations. And that would have made for an entirely different plot. Fully fledged characters will still surprise us. They should never act against their own character, but they might step out of the box that a personality type wants to put them in. A challenger-leader eight who tends toward domineering might unexpectedly resist the urge to step into an argument, which would mean something substantial for that character. Perhaps they are moving in their direction of integration to look like a helping two, or they've newly realized that winning a fight is less effective than leading by example. This flexibility is how we avoid stereotypes and wooden characters. I like that the Enneagram allows for the changes brought on by maturing or devolving or blending a couple of personality types together. But once these type of tools have helped you build your writing, like scaffolding, they should fall away and let the real, living world on the page play itself out as it must. Using the Enneagram as a tool, not as a law, is the best way. 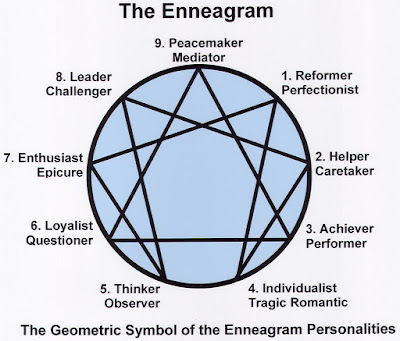 Start with the Enneagram Institute site and the Enneagram of Personality Wikipedia page. From there, there are lots of books, sites, and articles available to learn more about the Enneagram. And here's a link the the long version of the test if you want to find out what Enneagram type you are and to a shorter version and another type of short test. The last one is my favorite. I apologize in advance for the productive time you will inevitably lose on those tests, but if it gets you to an understanding of good character building, then I think you don't have to feel too guilty about it. Please leave a comment if you've used the Enneagram or other personality typing for character building! I'd love to hear your insights. And here's something I'm deeply curious to know: do the main characters you write have the same personality type as you do? Happy writing! My main character's personality depends on the kind of story I'm going to write as well as the type of character I want to be at the top of the pyramid. If I want a character to lead he or she would be different from one who has leadership thrust upon them but no desire to do so or has not truly earned the right. My latest project involves a young married couple who want a child and resort to magic. Both want a child but each has their own thoughts on how to do so and what potential consequences they might face. Joanna, great post! I think this is a helpful model for keeping your character's on track especially being consistent in their reactions. These types of characters remind me of two books I reference with similar thinking: 45 Master Characters: Mythic Models for Creating Original Characters and The Writer's Journey: Mythic Structure for Writers. These dive more into character building but also speak to how your character would act and react based on their type. Yes! 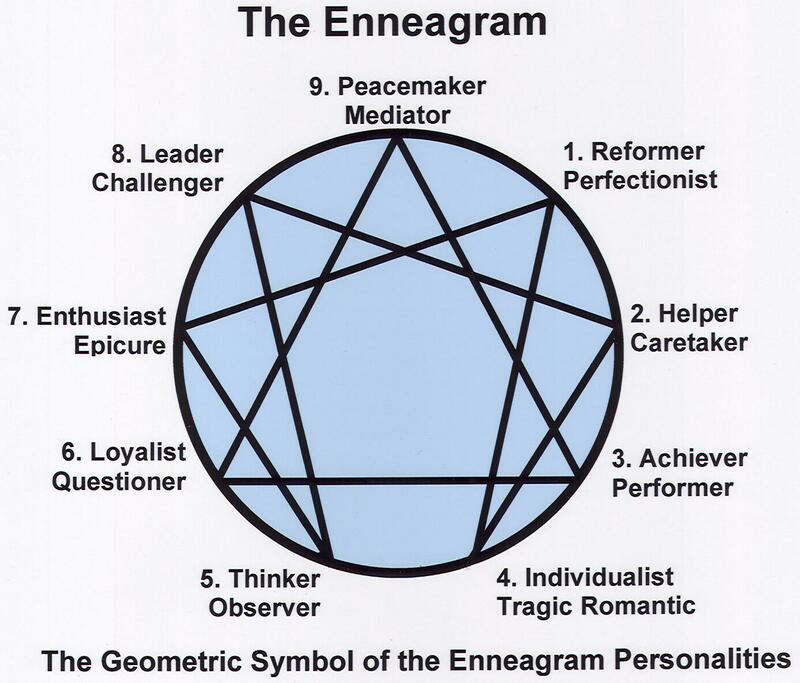 I'm using the enneagram as a starting point for characters in my new manuscript. As for me, I'm 4 wing 3. This is very interesting. Reminds me of a color wheel, but for personalities. Gonna have to dig into this more. Thanks! I am interested in the Enneagram (I'm a 2, by the way) but it never occurred to me to use it for my own characters. Fabulous post! This is already helping me with my main character. His true personality has had me stumped for a while, but the Enneagram is making it come into focus. Thanks!